MacKenzie Commercial Real Estate Services, LLC is pleased to announce the recent completion of three long-term deals in Hunt Valley, Baltimore County, Maryland totaling more than 22,000 square feet in the past three months. 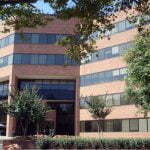 All owned by Greenfield Partners, the buildings include 4 North Park Drive, 200 International Circle, and 307 International Circle. The tenant representation team consisted of Senior Vice President/Principals Bill Whitty and Joe Bradley and Vice President Matt Mueller. Dan Callihan and Karen Robertson of Newmark Knight Frank represented the landlord, Greenfield Partners. Tenants for the above noted buildings included Harvest Investment Consultants, LLC, a firm focused on providing high quality, unbiased, risk-efficient invest solutions; Affiliated Engineers, Inc., a multi-discipline technical consulting firm providing innovative solutions for complex and large scale projects worldwide; and, Systems Alliance, Inc. (SAI), a software products and consulting firm. Each transaction represented a relocation and expansion of the tenants’ headquarter operations. “We were fortunate to work with a very strong team from MacKenzie in the identification of options and negotiation of a long term lease that will provide us with much more space, an office environment more consistent with the experience we want to provide for our team members and clients, and a Landlord that values their business relationship with SAI.” said Ric Hughes, CEO at SAI. According to MacKenzie’s 3rd Quarter Market Report for the Baltimore Metropolitan Area, the Hunt Valley/I-83 Corridor remains a sought-after market with strong and consistent activity from both small and large tenants. The area continuously boasts the lowest vacancy in the Northern region, currently at 9.4%. For additional information on MacKenzie’s full service offerings, please visit www.mackenziecommercial.com. For leasing inquiries, please contact Matt Mueller at mmueller@mackenziecommercial.com or 410.494.6658, Bill Whitty at bwhitty@mackenziecommercial.com or 410.494.4862, or Joe Bradley at jbradley@mackenziecommercial.com, or 410.494.4892.